IP finance: Revenue from internal TM licensing to swell GKN pension pot -- or will it? Revenue from internal TM licensing to swell GKN pension pot -- or will it? "GKN returned to profit in the year’s first quarter with its best performance since the start of the recession. The engineer reported a 50 per cent increase in automotive sales to £852 million and a trading profit of £51 million, compared with a trading loss of £47 million in the first quarter of last year. The next triennial review will be completed by the end of the year, but the latest gross deficit figure for the scheme is £510 million. To try to close that gap, GKN has agreed with the pension fund trustees to create an asset-backed cash payment scheme that will put £30 million a year into the pension fund for 20 years. 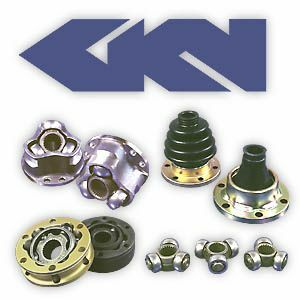 Cash currently payed by GKN businesses around the world to use the GKN trademark — in effect, an internal licensing fee — will be channelled into the pension scheme. This will be supplemented by rental income from five of the company’s UK properties. The asset-backed cash payment scheme has been valued at £331 million. The idea seems ingenious but I have this nagging doubt in the back of my mind that there's a fatal flaw somewhere along the way. Can any of IP Finance's tax-savvy readers help? Hypothetically (as I'm not one of the advisors to this) this structure can work - GKN have, presumably, effectively transferred the rights to receive income relating to the relevant IP to the pension fund for the 20 year period. The pension fund may have paid the company for the right to receive the income (perhaps by setoff against outstanding liabilities), or invested in the arrangement otherwise, but that will have been at a substantial discount to the expected income over time, and will have been guaranteed by a charge (or similar security) over the relevant IP. In return, the pension fund is paid the income flow from the relevant IP. In practice, as effective owners of the right to receive income relating to the IP, the pension fund will then charge each of the relevant GKN entities for their use of the IP - that generates income for the pension fund, helping to close the funding gap. Key to all of this is getting the valuation right - of the IP and the royalties, to make sure that this makes sense for tax as well. Depending on how their pension fund is structured, the income to the pension fund could be tax-free. Much will depend on where the pension fund is established. Interesting comment. I wonder though what is the value for a pension fund to take a charge over the trademark. I also have a question regarding your comment: "In practice, as effective owners of the right to receive income relating to the IP, the pension fund will then charge each of the relevant GKN entities for their use of the IP - that generates income for the pension fund, helping to close the funding gap." What exactly is the pension fund charging the GKN entities for? It is not completely clear to me.